• Extreme weather conditions of heat, humidity and cold air. • Emotions–not only sadness and stress, but also sometimes laughter. Some other health problems can make asthma symptoms worse, such as obesity, acid reflux, sleep apnea, stress and depression. If you have one of these other problems, let your allergist know so that they can be addressed as a part of your overall treatment. Treating your asthma includes identifying and avoiding asthma triggers when possible. Nearly everyone needs some medication in addition to avoidance measures. In addition, some people benefit from monitoring their lung function with a portable device like Wing or a peak flow meter. This type of device allows you to measure your airflow, and then to follow the Asthma Action Plan that you and your allergist create. There are many effective medicines to treat asthma. In simple terms there are two kinds: quick relief medicines (short acting bronchodilators like albuterol) and long-term control medications (like inhaled corticosteroids, long-acting bronchodilators, and other oral and inhaled medications) that control airway inflammation. The right medications depend on your triggers, asthma severity and your your control. The goal is to make you feel your best with the least amount of medication. There are health risk concerns with corticosteroids. They are powerful medications that can be dangerous if taken in excessive amounts. 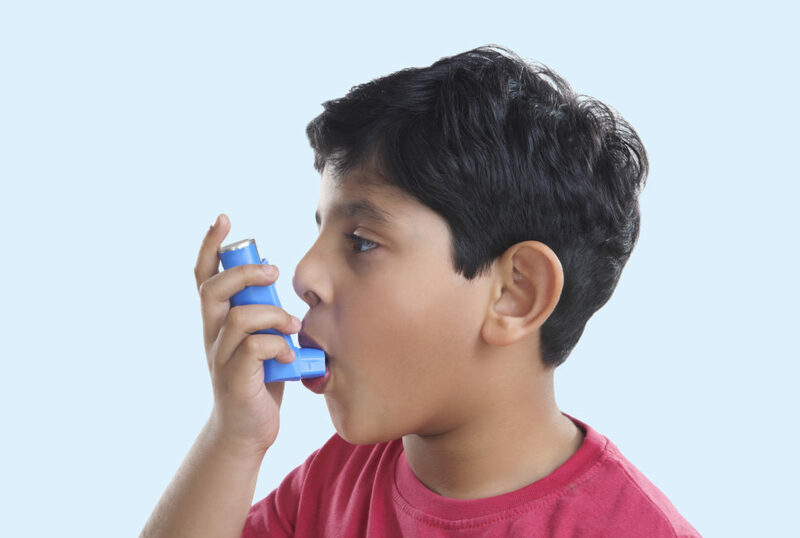 Medical research over the past 30 years shows that when taken as directed, inhaled corticosteroids are safe and well tolerated, and one of the most effective treatments for asthma. In recent years new medications for severe asthma have become available that fall into the category of biologic medications. These typically block a specific antibody or other chemical that the body makes in excess that has made the asthma worse. Currently these biologic medications for asthma are given in the form of an injection or intravenous treatment in the office. If you have severe asthma that is not controlled with other medications, your allergist will discuss these medications with you. When allergies play a role in asthma, then you should consider allergy shots. These are very effective in relieving allergy symptoms and in some cases cure your allergy. The treatment typically occurs over several years involving injecting small amounts of the allergen in gradually increasing amounts over time. Allergy shots are generally given for three to five years, and sometimes longer. • Your asthma symptoms interfere with your daily activities or your sleep. • You’ve had a life-threatening asthma attack. • Your doctor believes that you are not responding to your current treatment. • Your symptoms are not usual. • You’ve taken oral corticosteroids for asthma more than twice in one year. • You have been hospitalized for your asthma. • You need help to identify your asthma triggers. Although asthma can be treated and symptoms can be controlled, there is not yet a cure for asthma. Preventive treatment should allow you to lead a normal, active lifestyle. If you would like to see if your asthma and allergies are not under control, take the asthma and allergy symptom test from the American College of Allergy, Asthma & Immunology.